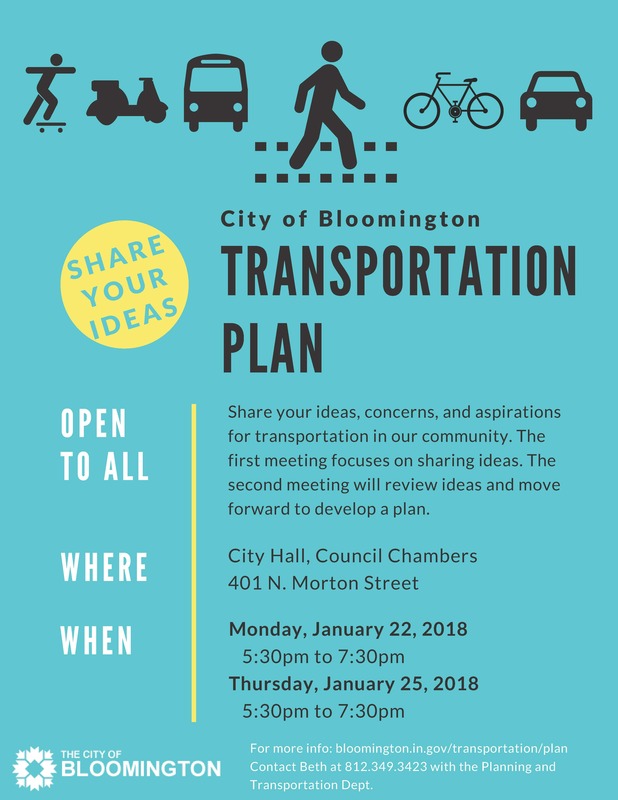 The City of Bloomington is working with Toole Design Group to create a new Transportation Plan. The city will be hosting two meetings later this month to get your input. Click here for more info. Earlier today a resident of Sunflower Gardens sent an open letter to the HOA Board which can be found here. 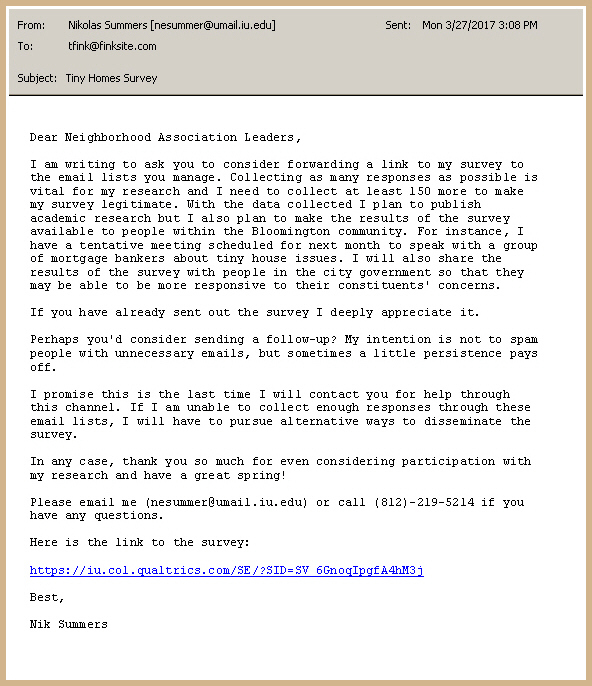 The letter suggests that an informal and open get-together of the neighborhood is needed to create the consensus that will be required to enact whatever changes the members of the association want to make to the Bylaws and CC&Rs. It also makes the argument that a fully inclusive, open, and well documented process is more likely to generate the three-fourths majority required than an exclusionary, secret, and vaguely documented process is. The board has published something called a summary of the August 2, 2017 meeting. It can be found here. But the summary says nothing about what issues were treated and the written report is not provided. 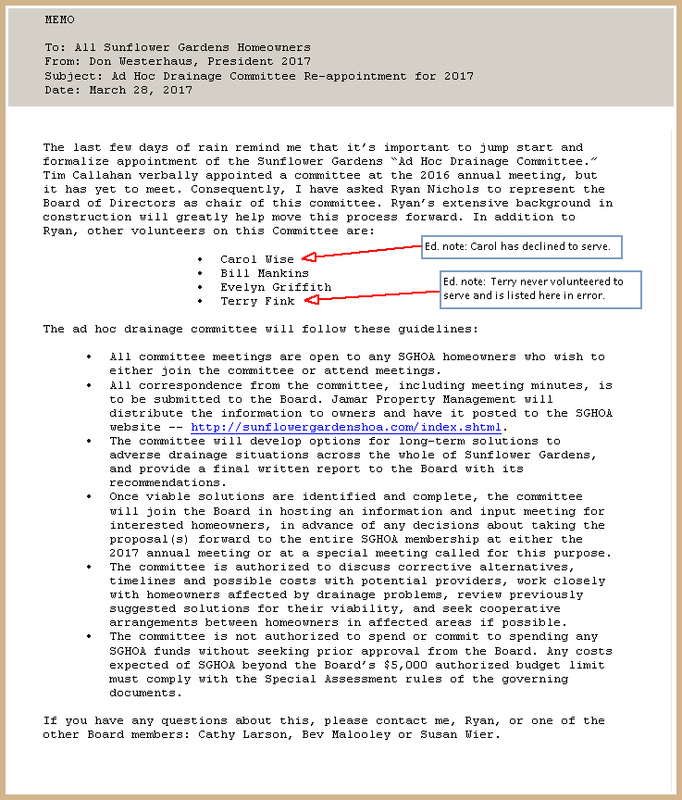 Recently the Board has posted a Newsletter where a description of some (and perhaps all?) of the Design Committee’s recently treated issues are summarized. That Newsletter can be found here. The idea of a separate information-only meeting to review and discuss the proposed changes with all members was supported. The Board agreed that it also makes sense to have a waiting period between the time final wording is settled and the vote to approve (or not) is taken. The Board asked for the Committee’s ideas on what should happen if the informational meeting provides input that makes significant changes to the proposed changes. Similarly the Board asked for the Committee’s ideas on what should happen if floor amendments are made at the meeting where the vote is to take place. The current thinking of the Board is to hold the vote on the five proposed changes at the next Annual Meeting as there is nothing in the proposed changes that requires immediate attention. Several Board members noted that the informational meeting will need to be held sufficiently in advance of the Annual Meeting to allow for the waiting period (currently proposed to be 14 days) and any contingencies such as legal review or rework that may be necessary given the results of the informational meeting. Tim Callahan reported success in getting Comcast to fix the mangled metal box that has been an eyesore on Sunflower Drive for the past many months. Replacement of outside lamps and repairs to shutters continues to be problematic and Tim reviewed the current thinking of the Design Committee on these issues. Tim also shared with the board a draft of a letter to be used when the Design Committee determines a member is not maintaining their property in accordance with the required standards. The Annual Picnic will be at the home of Susan and Charlie Wier, September 23, 2017, from 4:00 to 6:00 pm. Possible topics for the next Newsletter include the picnic, the Drainage Committee, outside light fixtures, power washing and the password for the HOA website. The next board meeting was scheduled for Tuesday July 18, 2017. Drainage Committee – Volunteers Wanted! Don Westerhaus, HOA Board President, announced yesterday the (re? )formation of a Committee to look into drainage issues across the entire neighborhood. Ryan Nichols will chair the committee. The announcement memo [click here to view] made it clear that volunteers would be welcome so please consider participating. What do you think about Tiny Homes? Nik Summers wants to know! Need more information to help you decide? Please read on. Want to reach out to Nik directly, please see contact info in [email from Nik].